Home - GoSmartMobile , News , Prepaid Data , T-Mobile - GoSmart Plans Get Double Data For a "Limited Time"
GoSmart Plans Get Double Data For a "Limited Time"
The $35 Unlimited, Talk, Text and Web plan now gets 1 GB of "3G" hi-speed data per month instead of 500 MB. The $40 Unlimited, Text and Web plan now gets 6 GB/month of high speed data instead instead of 3 GB. The $45 plan Unlimited, Talk, Text and Web plan gets 10 GB/month of high speed data instead of 5 GB. The $45 plan is not advertised on the GoSmart site but is available from GoSmart dealers or by calling customer support. Users have reported speeds of up to 8 Mbps with GoSmart's 3G high speed data. 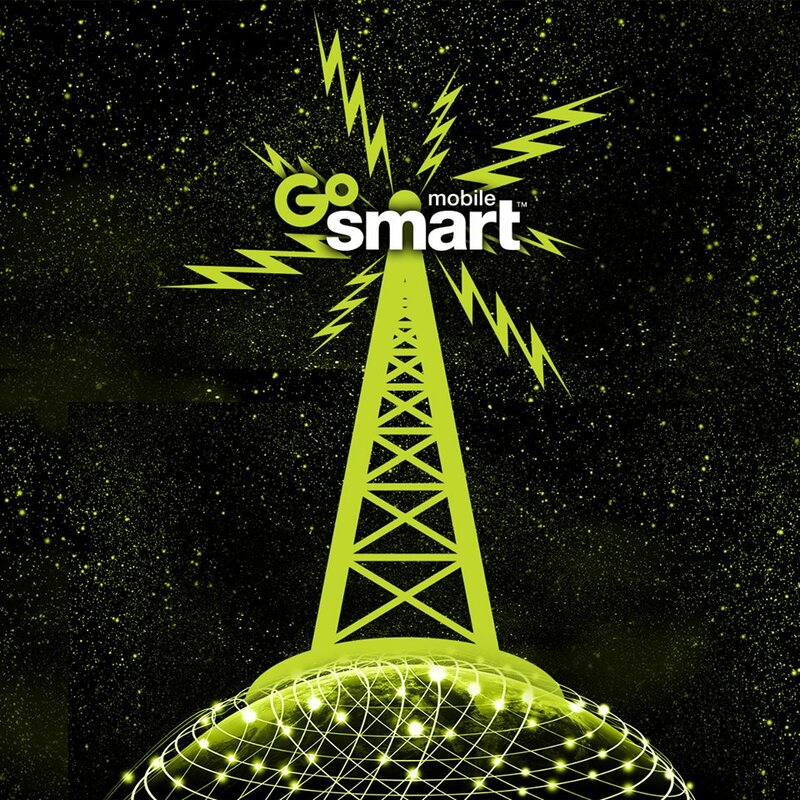 After the 1 GB, 6 GB or 10 GB allotment of high speed data is used up, all three GoSmart plans include unlimited data throttled to 128 Kbps for the rest of the plan month. There are no changes to GoSmart's $25 plan which comes with unlimited talk, messaging and Facebook access but no other data. GoSmart is T-Mobile's value priced prepaid brand which is available online and through a network of independent local dealers. Unlike T-Mobile Prepaid or T-Mobile owned MetroPCS, GoSmart does not offer off-network roaming or LTE data. Update 12/4/14: According an industry source, the double data promotion is expected to end Feb 1, 2015. I believe that anyone who signs up before then will get to keep the double data indefinitely. Still doesn't beat T-Mobile's secret $30/month plan with unlimited text, up to 5Gb of LTE data + 100 minutes. Smart consumers such as myself just make and receive calls on the phone with data using Google Voice and Google Hangout Dialer. But then again, I'm pretty frugal when it comes to data usage, only exceeded 1Gb ONCE. It's not exactly secret, it's publicly advertised on their website. It is somewhat restricted in that you have to activate the plan online. People underestimate that plan. I have been thinking of using the 30 dollar tmobile plan as a kids entertainment device especially for traveling during the holidays. Tmobile $30 plan plus neflix account equals quiet travels. How does that secret plan handle roaming? "It is somewhat restricted in that you have to activate the plan online"
Restricted? That makes it sound much less restricted than having to drive far away to activate it. I wouldn't call it "smart" consumer. Have 5GB of data is not useful for a lot of people with voice calling needs. VoIP is hardly reliable, especially on a 3G/4G network, and on top of that, T-Mobile's coverage indoor is not great in a lot of areas due to 1900 band. Imaging doing a VoIP call over 1-2 bar of T-Mobile network, especially if you have a phone that doesn't support AWS band.... Good luck! By the way, the plan is advertised on T-Mobile site as well as every Walmart I've been to - nothing secret about it. Just reporting a typo. The table says unlimited text, text and web and the post only says unlimited text and web plan instead of unlimited talk, text and web plan. Still a great find. Please get rid of the word verification. can you keep the double data even when the promotion ends if you get it now? Seems like a good deal but GoSmart doesn't really sell handsets. I'm assuming you can BYO unlocked device, but do any locked devices (say, T-Mobile prepaid or MetroPCS) work? You can also BYO unlocked GSM phones and locked T-Mobile phones. Hilarious. I just tweeted John Legere the other day about the promos by other companies. Dose WiFi calling work on these plans? Does anyone know if Walmart Family Mobile phones need to be unlocked like Metro phones to use on GoSmart? If so, does anyone know a good source of unlock codes for ZTE phones? Thanks.